The holidays have officially arrived — are you ready for them? We know, we know, there’s a lot you have left to do. While we can’t help with that gift list or your travel plans, we can ensure that your hair looks fabulous at all those upcoming holiday events you’ve got in the books. Today we’re presenting everything from an understated chignon to a DIY project to old Hollywood glam. Get excited about some holiday hairstyles, ladies! Ooh, child, we are in l-o-v-e love with this hairstyle from The Beauty Department. 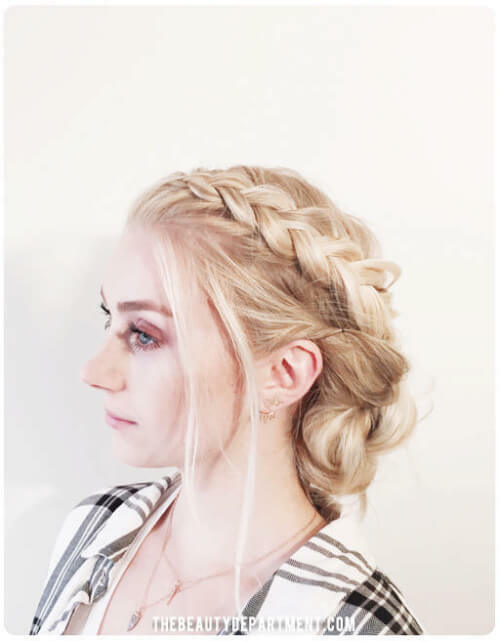 It’s essentially a Dutch braid that starts at the top of your head, cascades down the side and to the back, and then melts into a voluminous chignon. You could also try a French braid instead of a Dutch (the Dutch is just an inverted French, FYI) for a slightly different look. We’re envisioning a gorgeous gown to pair with this hairdo. Want to go the traditional chignon route versus the one above? You’re in luck! 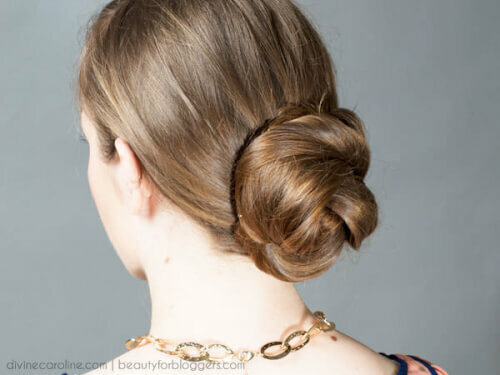 Divine Caroline breaks the chignon down into three easy peasy steps in this “Classic Low Chignon” tutorial. First, create a low ponytail and then divide the ponytail in half. 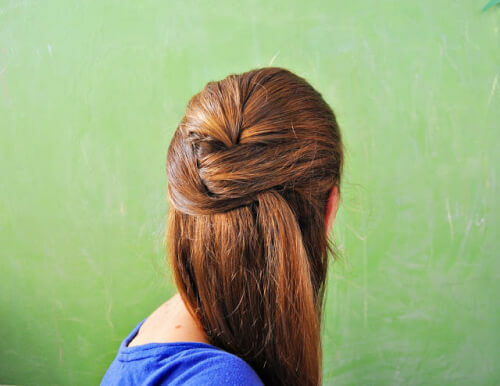 From there, create a rope braid, then wrap hair around your finger at the base. Pin to your head and finish with a little shine spray and you’re good to go. This one’s more of a DIY accessory versus a hairstyle, but we think it’s the perfect finishing touch to those lower key holiday shindigs you’ve got lined up this season. The tutorial comes to you from The Wonder Forest and all you need is a chunky headband, a hot glue gun, and some gemstones or jewels. The details are on the blog, so head that way. Yep — this ‘do is definitely a less traditional holiday hairstyle, but that’s exactly why we like it so much. YouTube user Silvousplaits calls this one her “Spartacus Hair Tutorial — Lucretia” and it does require a little bit of a time investment on your part. That said, it’s definitely the type of hairstyle that’ll turn heads. We think it’d look pretty at Thanksgiving or at a festive or themed holiday event. P.S. This vlogger does a lot of TV-themed hairstyles and we love them. Chrissann from the Ducklings in a Row blog says this half up ‘do is perfect for day two or three hair, plus it works with all sorts of hair textures. Not to mention, it’s really easy to recreate and makes a major impact. 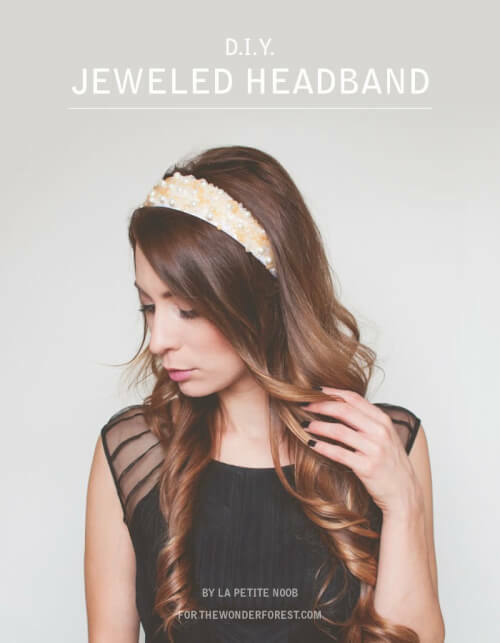 We think it’d look pretty with lots of curls, or you could dress it up with some glitzy accessories. Perhaps even a festive wreath crown. There are so many options. Who can resist vintage curls? Especially around the holidays and especially when it’s paired with a glam eye and red lip! YouTube user Sam Ozkural teaches you how to get this gorgeous, modern-day version of “Old Hollywood Curls” in her brief video. You’ll need clips, a comb, heat protectent and a curling wand.